I know that 17 years is not a very round number. It is also fairly arbitrary as I am assuming systems biology started around 2000 (see below). I was last week in Portugal, where every year for the past 8 years I have been teaching a week long course on Systems and Synthetic Biology to the GABBA PhD program. This might be the last year I take part in this course and so I felt it would be a good time to try to put some thoughts in a blog post. This course has been jointly co-organised from the beginning with Silvia Santos and we had several guests throughout the years including Mol Sys Bio editors Thomas Lemberger and Maria Polychronidou and other PIs: Julio Saez-Rodriguez, Andre Brown, Hyun Youk and Paulo Aguiar. Some of what I write below has been certainly influenced by discussions with them. This is not meant as an extensive review so apologies in advance for missing references. 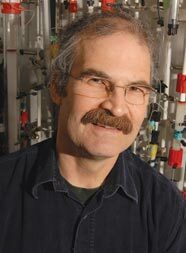 Where did systems biology come from? One of the driving forces for the advent of systems biology was this limitation, so brilliantly captured by Yuri, that reductionism can fail when we are overwhelmed with large systems of interconnected components. Around the time that Yuri wrote this article our capacity to make measurements of biological objects was undergoing a revolution we generally call omics today. In 2001 the first drafts of the human genome were published (Lander et al. 2001; Venter et al. 2001). Between 2000 and 2002 we had the first descriptions of large scale protein-protein (Uetz et al. 2000; Ito et al. 2001; Gavin et al. 2002) and genetic interactions mapping (Tong et al. 2001). The capacity to systematically measure all aspects of biology appeared to be within our grasp. The interaction network representation of nodes connected by edges is now an icon in biology, even if not as recognisable as the double helix. This ever increasing capacity to systematically measure biology was, alongside the complexity of highly connected components, the second major driving force for the advent of systems biology. So around 2000 biology was faced with this upcoming flood of data and highly complex nonlinear systems. Reductionism was failing because mental models were insufficient to cope with the information available. The reaction was a call for increased formalism, better ways to see how the sum of the parts really works. Perspectives were written (Kitano 2002) and institutes were born (Institute for SystemsBiology). Within the apparent complexity of biology there might be emergent principles that we were not seeing simply because we were looking too narrowly and could not combine information in a formal way. Whatever the system of interest (e.g. proteins, cells, organisms, ecosystems) there must ways to take information from one level of abstraction (e.g. proteins) and understand the relevant system's features of the abstraction layer above it (e.g. cell behaviours). This comes closest to a definition of systems biology put forward by Tony Hyman (Hyman 2011) but many others have defined it in vaguely similar ways, or maybe in similarly vague ways. When introducing systems biology I have been giving two examples of work that illustrate some of the benefits (network motifs) but also some of the perils (power law networks) of trying to find universal principles in biology. One of these examples was the research on the organisation of biological networks. As soon as different networks were starting to be assembled, such as protein-protein, genetic and metabolic networks, an observation was made that the distribution of interactions per gene/protein is not random (as studied by Paul Erdös). Most proteins have very few interactions while some rare proteins have a disproportional large amount of interactions – dubbed “hubs”. Barabasi and many others had a series of papers describing these non-random distributions, called power-law networks (Jeong et al. 2000), in all sorts of biological networks. Analogies were drawn to other non-biological networks with similar properties and it is not an understatement to say that there was some hype around this. The hope was that by thinking of the common processes that can give rise to such networks (e.g. preferential attachment) we would know, in some deep way, how biology is organised. I will just say that I don’t think this went very far. Modelling biological networks as nodes and edges allowed the application of graph theory approaches to biology, which has indeed been a very useful inheritance from this work. However, we didn't find deep meaning in the analogies drawn between the different biological and man-made networks, although I am sure some will disagree. Around the same time, the group of Uri Alon published very influential work describing recurring network motifs in directed networks (Milo et al. 2002; Shen-Orr et al. 2002). For example, in the E. coli transcriptional network they found some regulatory relationships between 3 different genes/operons that occurred more often than expected by chance. 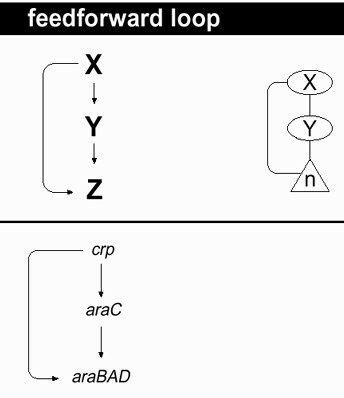 One example, illustrated to the right, was named a coherent feedforward loop where an activating signal was sent from an “upstream” element X to a “downstream” element Z both directly and indirectly via an intermediate third element. The observation begs the question of the usefulness of such an arrangement (Mangan and Alon 2003; Kalir et al. 2005). This has been generalised to studying the relation between any set of such directed interactions with specific reaction parameters – defined as the topology - and their potential functions. In a great review Tyson, Chen and Novak summarise some of these ideas of how regulatory networks can act, among other things as “sniffers, buzzers, toggles and blinkers” (Tyson et al. 2003). These and other similar works showed that, within the complexity of regulatory networks, design principles can be found that encapsulate the core relationships giving rise to a behaviour. Once these rules are known, an observed behaviour will constrain the possible space of topologies that can explain it. This has led researchers to search for missing regulatory interactions that are needed to satisfy such expected constraints. For example, Holt and colleagues searched for a positive feedback that would be expected to exist for the switch-like dissolution of the sister-chromatid cohesion at the start of anaphase (Holt et al. 2008). This mapping between regulatory networks and their function can be applied to any system of interest and at any scale. The same types of regulatory interactions are used for termites building spatially organised mounds and for growing neurons seeking to form connections (as illustrated in a review by Dehmelt and Bastiaens). Different communities of scientists can come together in systems biology meetings and talk in the same language of design principles. This elegance of finding “universal” rules that seemingly explain complex behaviours across different systems and disciplines has been a great gift of systems biology. It is of course important to point out that such ideas have a much longer history from homoeostasis in biology and control theory in engineering. 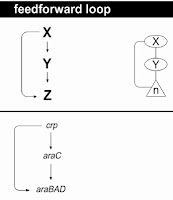 Alongside the search for design principles in regulatory interactions the formal mathematical and computational modelling of biological systems gained prominence (e.g. Bhalla and Iyengar 1999). Mathematical models are much older than systems biology but they started to be used more extensively and visibly with the rise of systems biology. Formalising all of the past knowledge of a system was shown to be a useful way to test if what is known was sufficient to explain the behaviour of the system. Models were also perturbed in silico to find the most relevant parameters and generate novel hypothesis to be tested experimentally. This model refinement cycle has been used with success for example in the modelling of cell cycle (Novak and Tyson 1993, Tyson Noval 2001; among many others) or circadian clock (Locke et al. 2005; Locke et al. 2010; Pokhilko et al. 2012). However, this iteration between formal modelling and experiments has not really taken off across many other systems. The reason for the lack of excitement is not clear to me although I have the impression that often the models are not used extensively beyond asking if what we know about a system sufficiently explains all of observed outcomes and perturbations. From the start there has been a division between the researchers that identified themselves as part of the systems biology community. Bottom-up researchers have been focused on the formal modelling of systems, the discovery of design principles and emerging behaviours. Top-down researchers would argue that a truly comprehensive view of a system is needed. These scientists have been more focused on further developing and applying methods to systematically measure biological systems. The emphasis in this camp has been on developing generalizable strategies that can take large-scale observations and identify rules, regardless of the system of interest. I would say that these works, my own included, have been less powerful in identifying elegant universal rules. By this I mean, for example, those initial attempts to find common principles across biological and man-made networks. Instead of principles, what have been readily transposed across systems have been approaches such as machine learning methods. Drug screens with behavioural phenotypes, genetic interaction networks or developmental defect screens with gene knock-downs can all be analysed in the same ways. Such systematic studies have driven costs down (per observation) and contrary to “representative” experiments in small scale studies, the large-scale measurements tend to be properly benchmarked for accuracy and coverage. What is still missing are ways to bridge the divide between these two camps. Ways to start from large-scale measurements that result in models that can be studied for design features. Studies that include perturbation experiments come closer to achieve this. Examples for network reconstruction methods have shown that it should be possible to achieve this but we are not quite there yet (Hill et al. 2016). As scientific movement systems biology started in cell biology, as far as I can tell, but has since then permeated many other areas of research. As examples, I have heard of systems genetics, systems neuroscience, systems medicine, evolutionary systems biology and systems structural biology. In 2017 we still face a flood of data and highly complex nonlinear systems. However, the reductionist approaches now typically go hand-in-hand with attempts to formalise knowledge in quantitative ways to identify the key relationships that explain the function of interest. In a sense, the movement of systems biology has succeeded to such an extent that it seems less exciting to me as field in itself. It is a fantastic approach that is currently being used across most of biology but there is less developments that alter how we do science. 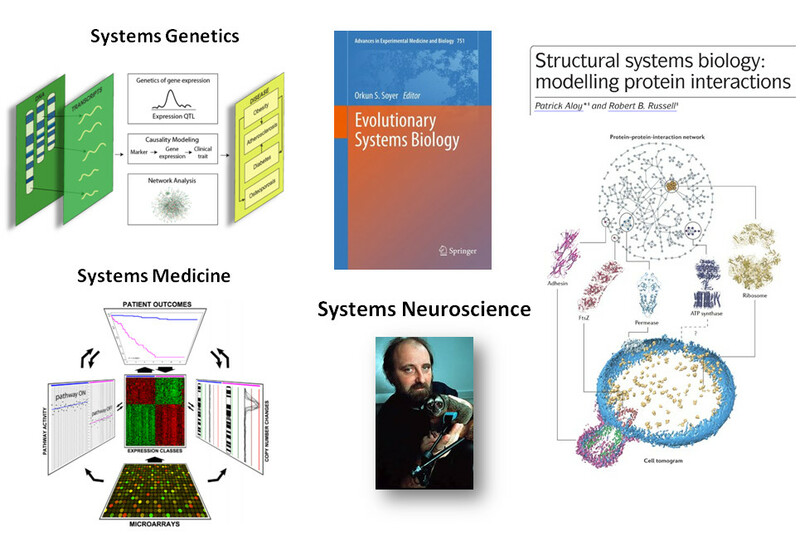 I am curious as to what other researchers that identify themselves with doing systems biology think - What have been great achievements of systems biology? What are the great challenges that are not simply applications of systems biology? Questions to think about for the (equally arbitrary) celebration of the 20 years of the field in 2020.